Looking for a glamourous getaway for your summer in Italy? When you think of a luxury summer break in Italy one of the places that many will instantly think of is Portofino. It's where many of the beautiful people of the Bel Paese flock to during the hot summer months. For years it has been associated with the many celebrities who go on holiday there. Portofino is a fishing village located in the province of Genoa, in Liguria. According to the latest census, 439 people live in the village. Its centered around the pituresque harbour. The half-moon shaped piazzetta is dotted with pastel-coloured buildings. 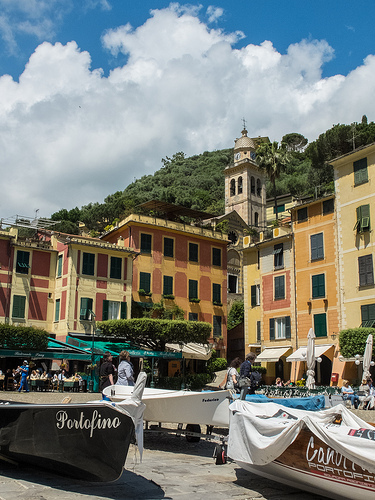 Portofino is also a famous yachting destination. 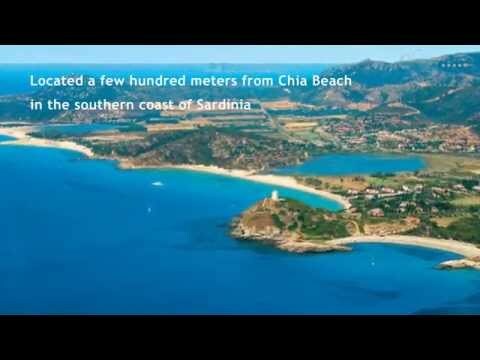 Many of the celebrities who come here are often snapped sunbathing on their yachts or swimming in the sea. You can also rent boats to admire the beautiful village from the sea, or to visit nearby sights such as the Christ of the Abyss, which is a submerged statue off the coast of nearby San Fruttuoso. Naturally Portofino caters to the laid-back aperitivo lifestyle, and the harbour is dotted with bars where you can admire the view out to sea. Naturally the villages' restaurants specialise in seafood, but pesto dishes such as pesto lasagna are worth trying, as pesto is traditionally Ligurian. If you love your shopping you won't be disappointed, as you'll find many boutiques from Italian and international designers, catering to the luxurious lifestyle of many of the holidaymakers who visit the village. 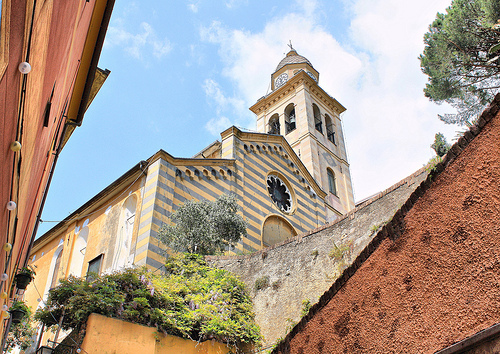 Some of the most popular sights in Portofino are the church of San Martino, which was consecrated in 1548; and also Castello Brown, a military fortress, which today is used to house art exhibitions, and also for events such as exclusive weddings. 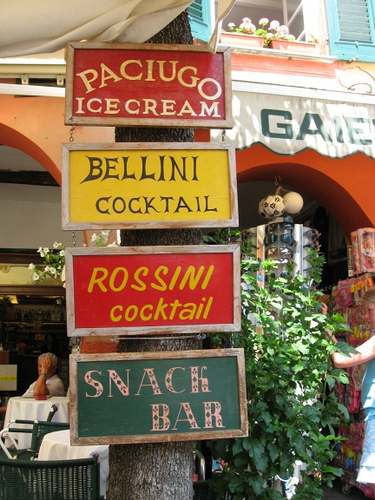 But the most popular pastime in Portofino is relaxing! At the beach, on a boat, or at the bar sipping a glass of wine, this is what people come to Portofino for - to relax and unwind in a luxurious location. If you fancy a break from Portofino you can also visit Genoa which is 30km away, and also the beautiful Cinque Terre. Santa Margherita Ligure, a popular coastal town in the summer, is also nearby. Have you got some luxury Italian destinations to suggest?